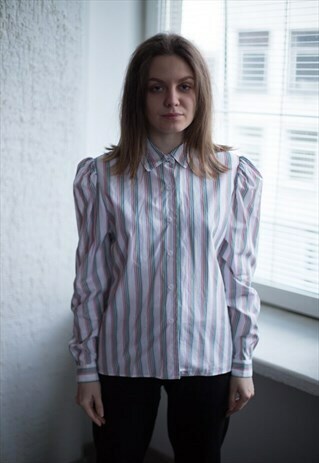 Lovely vintage 90's white striped puff sleeved shirt. UK size not written but it looks like 8-10. Model size on the photo is 6. Measurements: length 23 inches, sleeve 24 inches, chest 38 inches, waist 37 inches.